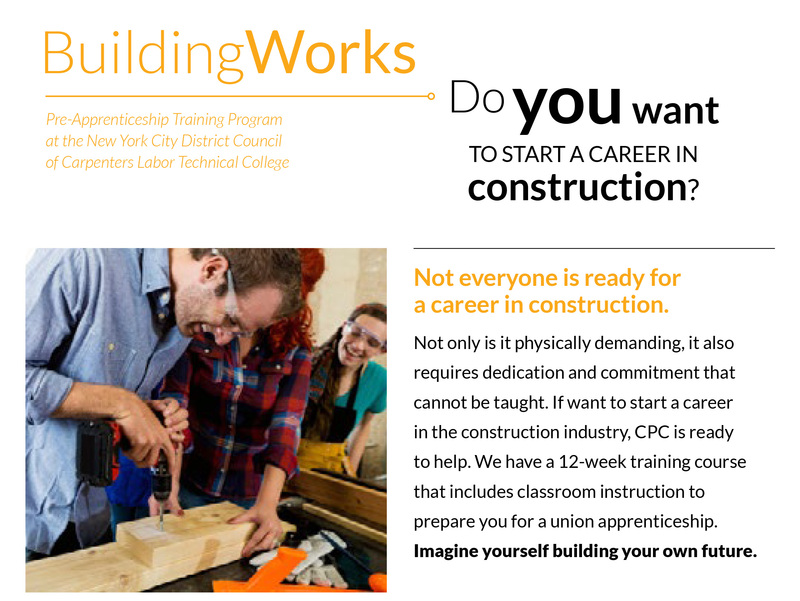 CPC is a community referral partner for the BuildingWorks Pre-Apprenticeship, a 6-week training program in collaboration with the New York City District Council of Carpenters Labor Technical College. The program's goal is to prepare community members for careers in the skilled trades. Successful graduates enroll into unionized apprenticeship programs. Services include training through a combination of classroom instruction and hands-on experiences. Graduates are also provided personalized support, employment counseling, and job placement assistance. Federal and state-level certificates are awarded to students who successfully pass licensing exams. As a community referral partner, CPC prepares and places approximately 20 Opportunity Youth and adults in the program each year. 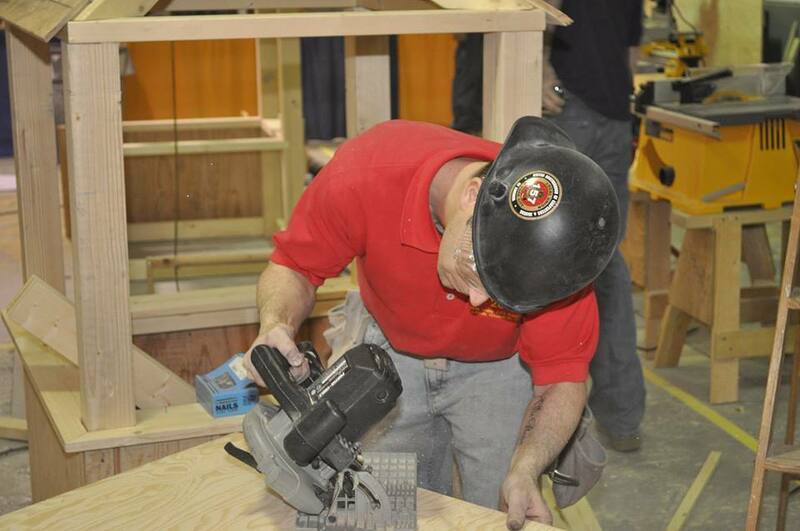 The program provides direct access to the Carpentry Union with an average initial hourly wage of $20. 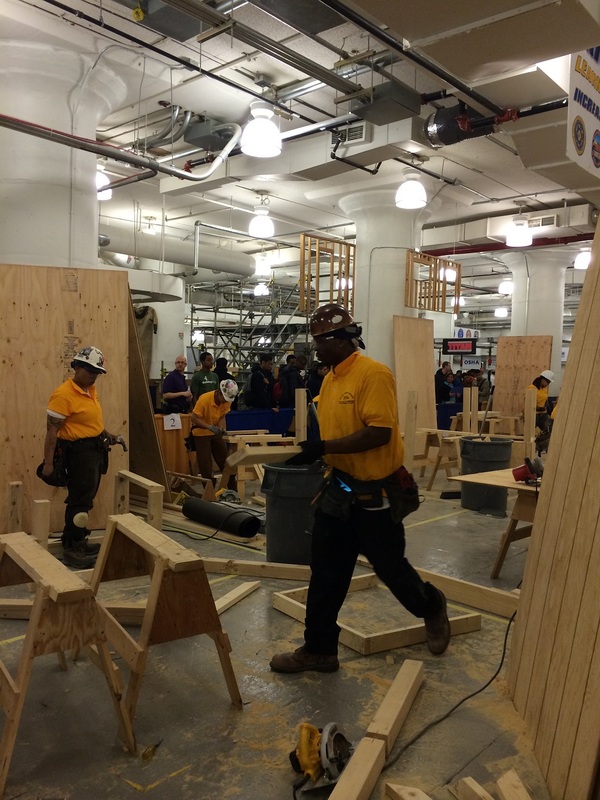 This program is funded by New York City District Council of Carpenters Training Center.